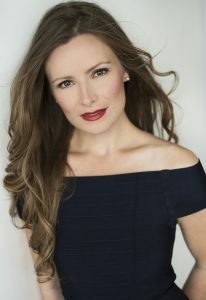 Praised for her “clear voice soaring to stratospheric heights” (Opera Canada), soprano Andrea Lett has made several exciting debuts this 2018/19 season, including Saskatoon Symphony Orchestra (Mozart Requiem), and Manitoba Opera (Zerlina in Don Giovanni, and Berta in Barber of Seville). Ms. Lett was a recipient of both the Audience Choice award, and the CBC Young Artist Development award at the 2018 Centre Stage Competition with the Canadian Opera Company. Lett was also engaged at San Francisco Opera as a principal cover (Ah Sing) for the world premiere of John Adams and Peter Sellars’ Girls of the Golden West in 2017. A 2017 Apprentice Artist for Santa Fe Opera, her roles have included Musetta (Saskatoon Opera) Adele cover (Santa Fe Opera), Queen of the Night (Manitoba Underground Opera), Gretel (Saskatoon Opera School Tour), and Rose Maybud in Ruddigore (Winnipeg G&S society). Toronto native Danielle MacMillan, BFA honours, York University, additional training in Firenze, Spoleto, and The Glenn Gould School. 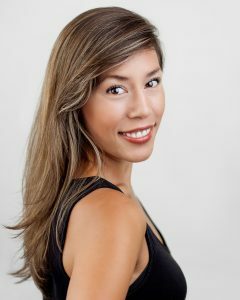 Ms. MacMillan was a member of the COC’s Ensemble Studio and PBO’s Benenson Young Artist Program. Credits include, Second Niece, Britten’s Peter Grimes; Dorabella, Cosi fan tutte (COC); Diana, La Calisto, Cavalli (GGS); Cherubino, Le nozze di Figaro, Mozart; Siebel, Faust, Gounod (HOS); Contessa Ceprano, Rigoletto, Verdi; Edith, Pirates of Penzance, Gilbert & Sullivan; Cherubino, Le nozze di Figaro, Mozart; Zerlina, Don Giovanni, Mozart (PBO). St. Andrews Aria Competition Winner and Regional Finalist MET National Council Auditions. Born in Newfoundland, tenor Michael Barrett has been featured from one side of Canada to the other. Heard in MESSIAH in his home province, he appeared in Edmonton Opera’s DIE ZAUBERLÖTE, in SWEENEY TODD for Vancouver Opera and in LE NOZZE DI FIGARO for Pacific Opera Victoria. A former member of the Canadian Opera Company Ensemble, credits include Vancouver Opera’s DEAD MAN WALKING, Gabriel Dumont in LOUIS RIEL with Ottawa’s National Arts Centre Orchestra, Beethoven’s SYMPHONY NO. 9 with Symphony Nova Scotia, TURN OF THE SCREW for Against the Grain Theatre and THE RISE AND FALL OF MAHAGONNY for VOICEBOX: Opera in Concert. 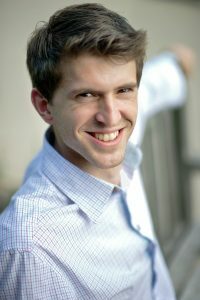 New Zealand born baritone Bradley Christensen has earned international praise for his “most well-rounded instrument…focused, rich, and sympathetically communicative” (Natasha Gautier, Ottawa Citizen). Recently, he was selected by the International Resource Centre for Performing Artists, one of 10 Singing Stars: The Next Generation, and was awarded the Sondra Radvanovsky scholarship. 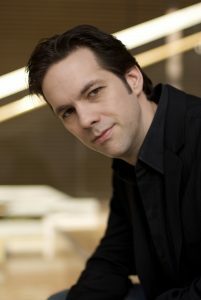 Bradley obtained his Master’s degree from the University of Toronto where he was the recipient of the Vocal Performance and Pedagogy Graduate Award. Bradley is an alumnus of the prestigious Rebanks Family Fellowship and International Performance Residency Program at the Royal Conservatory’s Glenn Gould School. He is also a graduate of the University of Auckland (BMUS (Hons), BA), where he won the Pears-Britten singing scholarship, the Marie d’Albini scholarship in singing, and a travelling scholarship to study in Italy in 2007. The 2018/19 season takes Bradley across Canada – highlights include: Ottone (L’incoronazione di Poppea by Monteverdi), and Giant (Jack and the Beanstalk by John Davies) with Manitoba Underground Opera; Michael (Ours by John Estacio) with Opera on the Avalon (also to be performed in 2020 at the National Arts Centre in Ottawa); High Priest (Idomeneo by Mozart) with Opera Atelier; Joseph (The Birth of Christ by Andrew T. Miller) with Masterworks of Oakville; The Seasons by Haydn with the Laurentian University Choir and a joint concert with soprano Kelsey Taylor at the Arts and Letters Club of Toronto.